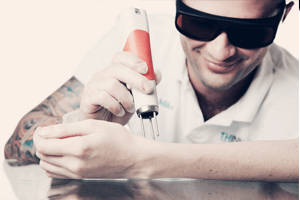 As the market leaders in tattoo removal, Think Again Laser Clinic were amongst the first in the world to question the ability of the Cynosure PicoSure laser device. Way back in 2015, when others were spruiking to everybody who would listen, that the PicoSure was GUARANTEED to remove tattoos in 5 sessions under the “Pico Promise”, we smelt a rat. 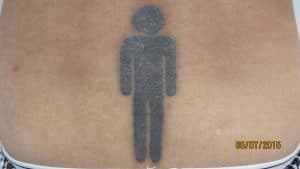 The science did not lie, the PicoSure DID NOT have the required power to remove tattoos. Simple. Our blog compared our old system in use the Quanta Q plus C to PicoSure, and brought up case studies proving it ineffective. Coupled with the ongoing class action lawsuit against the manufacturer Cynosure, and it is no wonder there are now thousands of people around the world, not only out of pocket, but in some cases with permanently damaged skin! 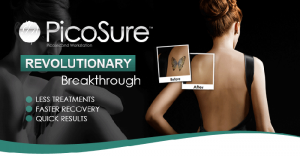 PicoSure promised faster results and now there is a class action against them. 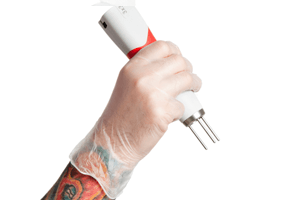 So now that we know for certain that the PicoSure is not a system fit for laser tattoo removal, what options are consumers left with? You may have read about our recent delivery of the World’s most Advanced Tattoo Removal system, The Quanta Discovery Pico Plus. You can read a great article comparing the system to another well known, but less advanced Pico second device in an article written recently, How the Quanta Discovery Pico Plus Made The PicoWay obsolete. Are you currently being treated by the PicoSure? Unfortunately there is only one guarantee that can be made, that you will be left, at best, disappointed, and at worst permanently damaged. 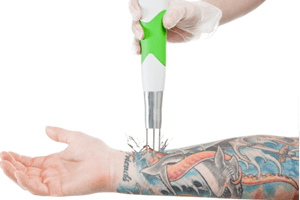 We are here to assist you in your tattoo removal journey, and would be happy to help! For those people currently or previously being treated by PicoSure, at Think Again Laser Clinic we are now offering you 50% off your first session and guarantee our results will blow you away!